It was quite ironic that the project CCDI was working on was entitled Open and Public Space Planning for Climate Resilience and was to encourage public participation in planning processes. Before and after the demolitions there was very little evidence of any public dialogue over the use to which these spaces should be put, where property worth millions of naira was being destroyed daily and where some victims had been trading for decades. There were no signs or explanation of what the next overall plan of action was to be. However, in some of the places cleared by the bulldozers the tide of traders appeared stronger than the will of the state government to drive them away. As soon as people felt that the coast was clear, little stalls reappeared in these areas, and gradually up went the colourful umbrellas and trading resumed as usual on top of the rubble of the demolition. It could be suggested that these traders were just strong willed but clearly for the affected ones, mostly women, it was really a matter of do or die. Open and public spaces are disappearing through the pressures of rapid urbanisation. This is having a detrimental effect on informal sector work activities by females, who perform multiple roles and their income sustains many households. There has always been a lack of gender equality consideration in urban planning and this restricts inclusive decision-making on open and public space; encourages male biased transport planning and leads to non-availability of public toilets for example. As a result women face exposure to various risks, vulnerabilities and challenges in terms of lack of services and infrastructure. Women need to influence policy and leverage in their favour the services that open and public spaces can offer. With the multiple roles that women play in society planning must factor in the need for safe and accessible trading spaces for women. Our investigation into public space for open market trading at times led us into controversial waters. The situation was often very volatile; during one visit to a market area we arrived just after mobile police had fired gunshots as a result of attempts to move ‘illegal’ traders. In another case there was a very peculiar problem over the displacement of market women from land designated as a market space, upon which expensive lock up shops had been built, without permission and also blocking a drainage system. Statements from participants at CCDI’s project, intentionally made up of about 80% female, proved that they were very keenly aware that the community was not being adequately served by open and public spaces to support community needs. The proposals they developed were not at all new ideas to the stakeholders but almost completely in line with what the community had been agitating for. They had a very good sense of what they deserved in terms of open and public space use. Local government officers, who often seemed taken by surprise by the ongoing demolitions taking place, were sympathetic to the plight of the traders and admitted that safe and secure spaces did need to be found for them to relocate to. Spaces within Eti-Osa were still available for all of the matters, which community members regarded as priorities. But the interests of local landowners and deep distrust of government agencies complicated moving forward to make these things happen. Also the planning laws and regulations were not being effectively implemented. Concise local level base plans appeared to be non- existent; responsibility for them was opaque to say the least. There was also no evidence of communication between the agency responsible for transport planning and the local government and local planning office, which has serious consequences for adequate planning for spaces such as markets and recreation areas. Meetings with local government officials revealed that directives had come from the state government that more markets should be built along the ‘Kee clamp’ open market design. Alasela Kee-Klamp Market’ at Onipanu Mushin and ‘ Kee-Klamp market Mushin’ are existing examples. 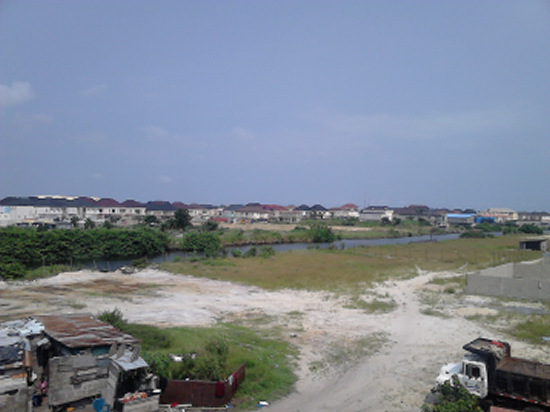 However, such projects are usually funded through public-private-partnerships, such as Build, Operate and Transfer – BOT, the markets would probably be more affordable if the markets were directly funded by the local governments but we were told that Eti-Osa local government could not afford to build new markets. Interestingly Professor Akin Magbogunje in his book Urbanisation in Nigeria describes the evolution of markets in Nigeria and their hierarchical nature, which involved rotational systems of daily markets and periodic markets such as four day markets and 16 day markets, where goods of different types and categories were traded. These special functions served to oil the wheels of regional economic trade; it created a division in trading and boosted the opportunities available for traders and levels of sales. Historically markets have always been the purview of local ‘obas’. Markets were always the focal point of the community, and were closely associated with the residences of oba’s and chiefs who had control over them. In a rather warped way this still continues today, as local governments are in control of the markets and there are still signs of traditional ruling families in different areas having a lot of influence over markets and shopping complexes. Use of local cultural knowledge in introducing new innovative market design and organisation is highly relevant. During discussions with local government officials and market women there was evidence of creative thinking over markets and their function and design. Several discussions focused on developing more innovative approaches to market trading, given the fact that demand for affordable trading space far outstrips supply. Spaces in the official markets exist but they are too expensive to rent or buy. A rotation arrangement based on produce type or special events such as religious periods or festivals could actually help traders and boost sales, as many traders complained that sales were down. We learnt that more innovative new ‘street market’ initiatives are being employed in some other local governments, whereby certain streets are temporarily closed to traffic in the evenings so that traders can come out and set up stalls, and the local government is still be able to collect some revenue from them. Markets have always been a focal point for pedestrian and vehicular traffic, and this underscores the importance of coherence between government bodies in overall planning. The ministry of transport needs to be involved in any new plans for a market, for instance to ensure that the users of the market can gain easy access to buy and sell. 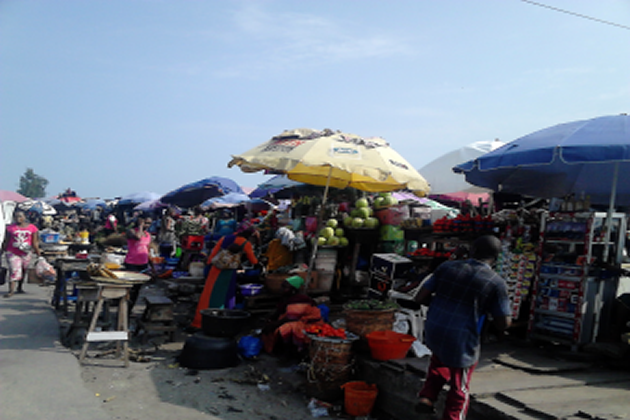 Markets have always played an important role in the economic livelihoods of low-income urban dwellers. They are also very major and necessary to the financial independence of women, especially in southwestern Nigeria. New innovative market designs and organisation can boost the local economy. Concerns exist as to whether the local government will respond positively to the project proposals, which were created through a participatory process, on how open and public spaces should be developed. This concern was reflected in the interviews we conducted with a market woman and also a local government official. It was felt that a lot of money had been wasted in the past in implementing projects where community members had not really been involved in decision-making. This reinforces the fact that participatory local governance must strive for inclusivity. Despite the fact that women are at the centre of community life their views and opinions are heard the least. Local community policy was still very male dominated and this hindered women from having a say in what they would really like to see translated into local policies. It must also be said that young people in the community felt marginalised in terms of voicing their concerns, opinions and needs. The project threw up a lot of ironies, for example the fact that the government was on the one hand destroying property with the aim of restoring the ‘original’ master plan and then on the other hand there was plenty of evidence that planning rules and regulations were still being ignored and openly flouted. The activities confirmed again that local and state government need to work closer together on policies that can improve the lives of the lower income population. Public services are not being made available as quickly as population growth and density, which increases the demands for well appointed and connected public spaces. Action on this requires investment and will enhance the local economy of the community. Local governments must become more resilient in order to prepare for the impacts of climate change. Urban policy concerns about markets, recreation fields, bus garages, and public health facilities link very much with climate change adaptation, and adaptation to climate change requires open space and public space. The conundrum of public spaces is one we must all tackle from the homes. how do we manage our spaces in the home and nuclear environment is pertinent to the issue as it is the general reflection of how we will treat our external environment and public spaces, either for aesthetics or better still improved aeration, play grounds recreation or owanbe gathering. kudos Kofo apt as ever.